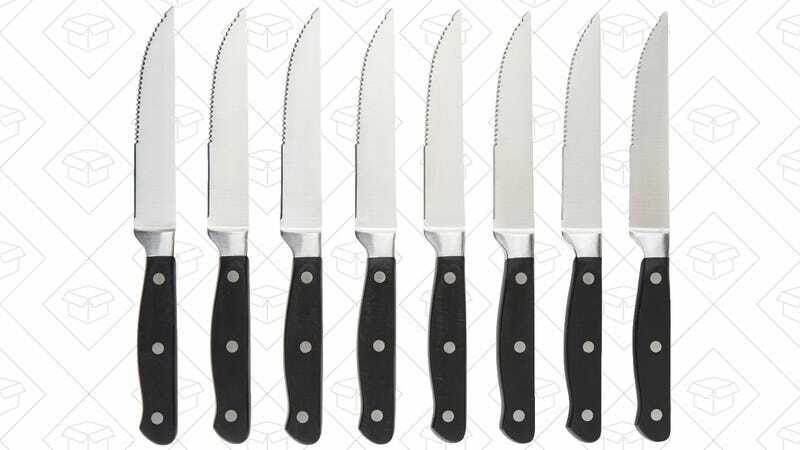 Amazon makes steak knives now, apparently, and you can get a set of eight for just $15 today. They actually look really nice, with no branding to speak of on the handles or blades. Now we just need a set that cuts your steak automatically when you ask Alexa.